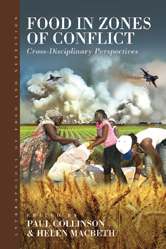 Controlling the production of and access to food can also be used as a weapon by protagonists in conflict. The logistics of supply of food to military personnel operating in conflict zones is another important issue. These themes unite this collection, the chapters of which span different geographic areas.